Laugh, Move & Improve Your Wellbeing – physically and mentally. Gentle movement sessions and mobility classes for the older generation or people who might have restricted mobility. Could we enrich your care home or centre’s activity programme? “It is always a pleasure to welcome Karen from Vitality Care to Woodlands House. 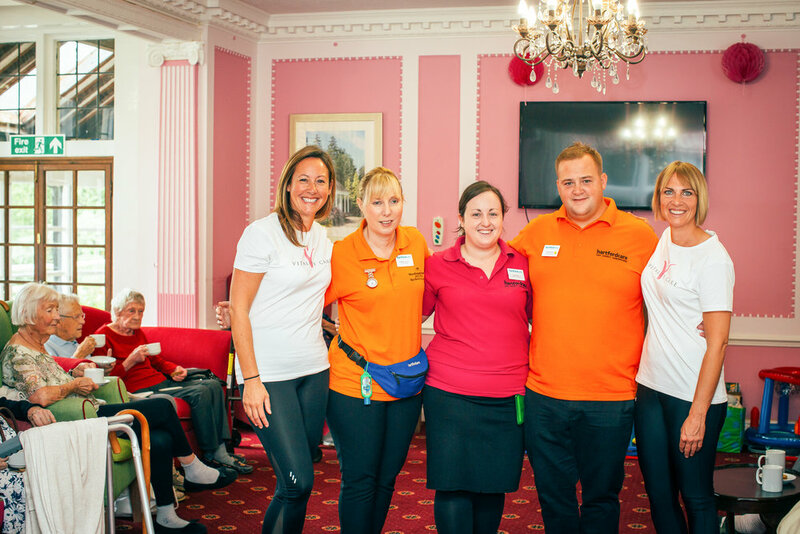 As a residential care home based in Woodlands, Southampton we take pride in supporting our residents to learn new skills and enhance their wellbeing, so the sessions from Vitality Care are ideal. 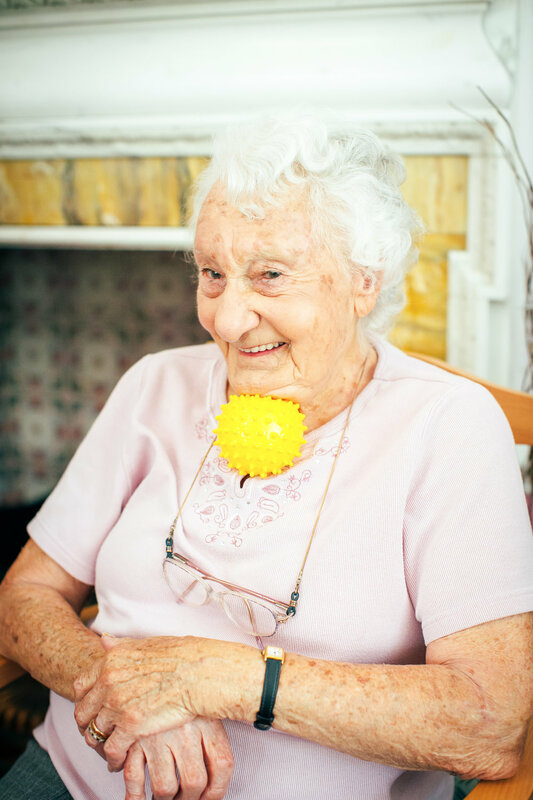 Our residents enjoy the exercises and we have noticed that sometimes they are a little shy and then they reveal a different side to their personality – it’s almost like the classes stimulate their senses. 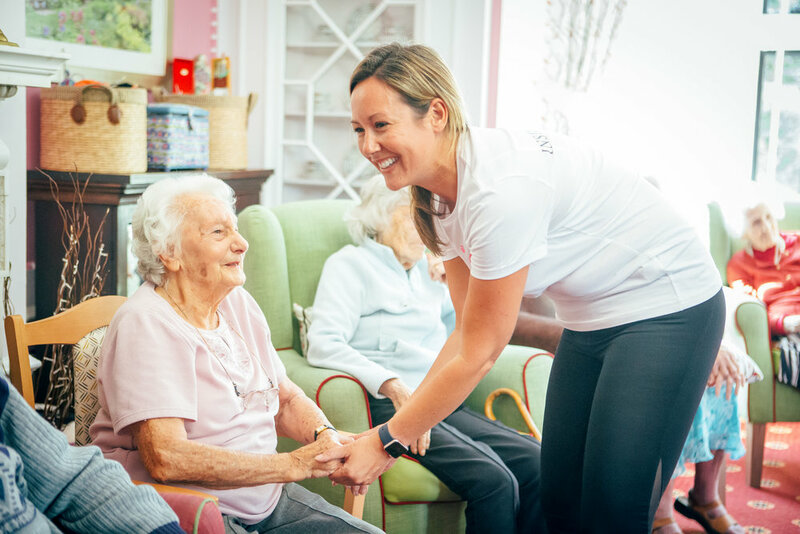 We have also noticed that our residents have grown in confidence as they master new moves to improve their agility, strengthen and stretch their muscles, it certainly puts a smile on their faces. How mobility exercise can help improve health. As we grow older, maintaining and active lifestyle becomes ever more important for keeping us supple and smiling! Our 45-minute seated exercise and movement sessions provide a range of physical and mental health benefits for those who need to stay moving, in a way that’s a little bit gentler. Our classes are 45-minute chair based sessions with music, taking place in the comfort of your own familiar environment. 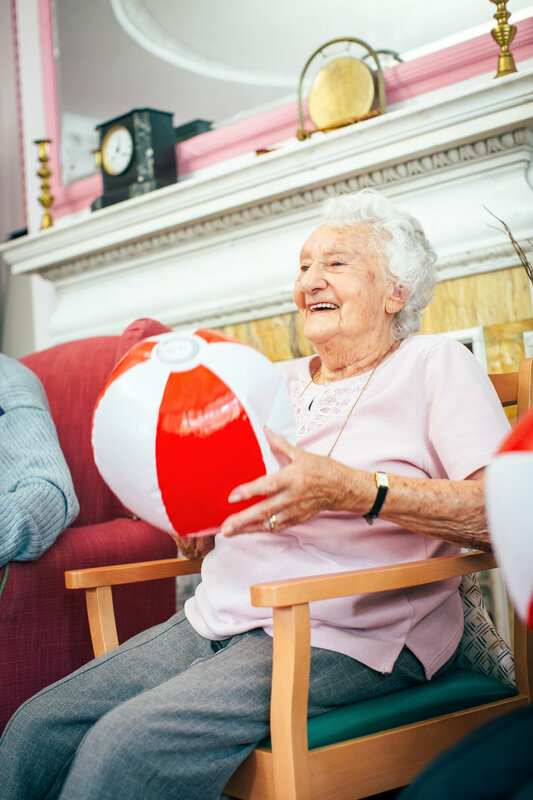 Your group will have a qualified instructor to visit your residential home and use light weights, resistance bands, balls and games to get you moving, smiling and engaging! 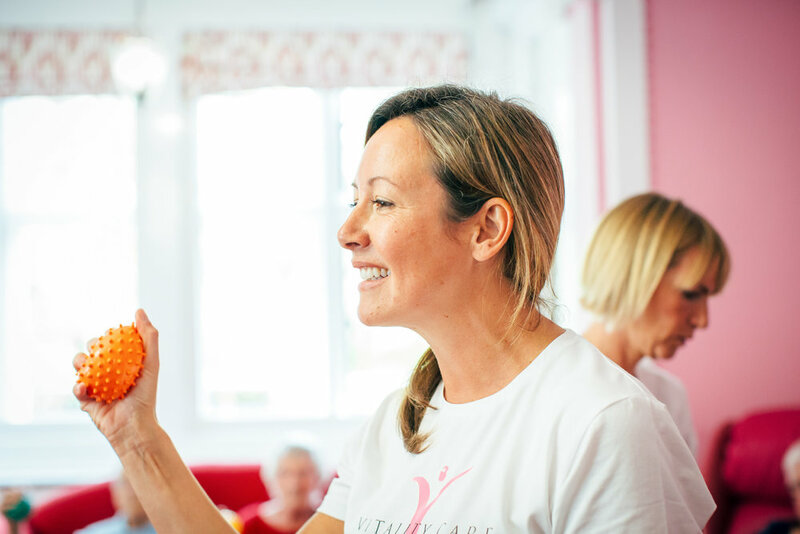 Shelley took over Vitality Care in 2017 after working as a Pilates Instructor, she lives in Lymington In Hampshire and has 3 children she loves Sailing, Spin, Fitness Pilates and Yoga and loves spending time out on the Solent. Originating in Hampshire and the South West, Vitality Care is now spreading nationally, with franchise options available. Or enquire about bringing movement to your residential home.